He has learned to live in the present. For him, both the past and the future are a mystery. On his return from a work trip, a young man discovers that his life has become confusing. An event he witnessed, a murder, doesn’t appear to have had any effect on his day to day life. Caught between scepticism and uncertainty, Andrés handles the situation as best he can. A visit to the doctor confirms that he is suffering from a disease: confabulation. It is a kind of anti-memory: when his brain doesn’t store memories, it makes them up. 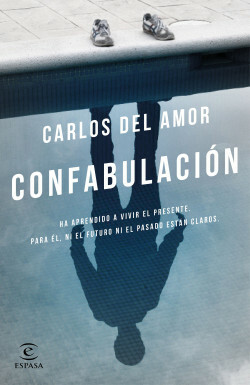 Carlos de Amor presents a novel in which real life and fantasy each go their own way, only to overlap every now and again. How can you live when you don’t know whether what is happening is real or not?